It is undoubtable that DLT technologies have already changed the way we look at things, the potential of this disruptive technology is overwhelming. DLT has created a whole new model that, ironically, recreates all about the ancient world. The same, but better, faster, stronger, cheaper and prettier. People, organisations and entrepreneurs that have already realised the potential of this technology and decided to jump into this new pool have realised the huge benefits that brings to both their role improvement as a service or product provider and to society, their customers. Traditional blockchains also have their own problems (huge fees, scalability, miners dependance, vulnerable to quantum computers…), and here is where IOTA stands from the rest solving all this issues, enabling much more efficient organisations. The US$65.7 trillion asset management industry has always been extremely restrictive, with huge economic and legal entry barriers were only people and organisations with enormous amounts of capital have been able to enter and operate in, making individuals that have the brain but not the money to manage people’s savings unable to make a living out of that. The first problem in this industry are the entry barriers, which are insanely huge (you need at least US$100,000,000 to start running a Hedge Fund, for example, apart from the previous experience in the sector that you are required etc.). The second problem comes from the fact that Funds have an important amount of costs associated with running a fund due to their organisational structure, usually composed of: Fund administrator, Operations Team, Trading Desk, Auditor, Risk Management and the Custodian. But this not only affect costs, it also leads to inefficiencies and make the fund activity to be subjected to human error and misconducts by the manager or some of it’s departments, which can lead to horrific scenarios like this one, where an important Hedge Fund manager lost all his investors money due to a wrong risk management without telling his clients. And last but not least, the other problem in this industry is that it is quite complicated to actually choose a fund to invest on since there is no such thing like an Investment Funds marketplace and this leads to wasting a huge amount of time searching and choosing between the huge amount of companies dedicated to investments in the market, and within each company the huge amount of funds they have. This can lead to actually having to hire a financial advisor to do this work for you, with the money that implies and not always with the best result. The Asset Management industry is financially huge, the total volume of assets under management (AuM) in 2017 was of US$65.7 trillion, that without taking into account crypto assets, which passed in 2017 the market volume of US$50 billion. PwC states that the market will grow to US$145.4 trillion by 2025, which makes it one of the biggest markets in the world. The crypto market alone is predicted to grow to as high as US$40 trillion in a relative short period of time, according to experts such as the Founder of Pantera Capital, Dan Morehead or the CEO of the crypto Exchange Kraken, who base his opinion on the fact that there is today a lot of young people graduating from cryptocurrency/blockchain related programmes and the increasing education and normalisation about this new industry in the new generations. First of all, In relation to the entry barriers problem, there is a way to scape this: operate exclusively with digital assets. IOTA can change that, enabling the management of digital assets in an open source software that will benefit the whole community by enabling the creation of investment funds with as little as US$1,000, making any individual able to manage crypto portfolios and attract potential investors. Secondly, speaking about the costs associated to running a fund, inefficiencies, human error and misconducts, Qubic Smart contracts and oracle machines will have the ability to change that, replacing all the personnel needed for running a fund, thus, reducing costs dramatically. But this not only affect costs: with a Tangle and Qubic smart contracts based fund, investors can be sure that the fund activity is not going to operate outside the limits stablished on them, which were previously and publicly showed and signed by both parties (manager-investor). 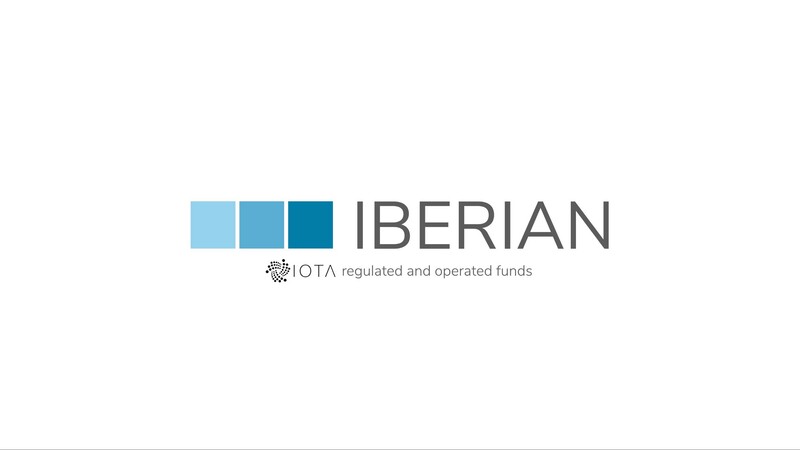 And thirdly, in terms of the current difficulty on choosing a fund and, therefore, to attract clients by firms, IBERIAN will store the track record of data such as the performance and many other factors of every fund and manager/entity on the Tangle, which will be used to make one of the firsts ever Fund Marketplace in order to make it easier and cost free for investors to choose a fund filtering by the different type of options available (like 3 years average return, total fund capitalisation, amount of investors per fund and mostly anything) which, in turn, will lead to entities and individuals to attract more clients since they will be found on the platform by potential investors. Even with the current problems, inefficiencies and entry barriers that leaves a lot of people aside and makes it almost impossible to set up a fund, the asset management industry is financially huge and it is predicted to be even bigger. DLT and specially IOTA, due to its feeless and scalable structure has the ability to change that, building an open source software platform for an easy and complete crypto asset management platform that will serve as well as one of the firsts ever Fund Marketplace for investors. This is a huge opportunity for giving life to the first of its kind IOTA based project that will make an enormous impact on the Finance industry and will revolutionise the asset management sector, making it more inclusive, transparent and efficient while reducing costs.